Looking for something to do on these rainy Spring days? We're featuring the New Art Center, Mitchell Giddings Fine Arts and The Fuller Craft Museum this week. 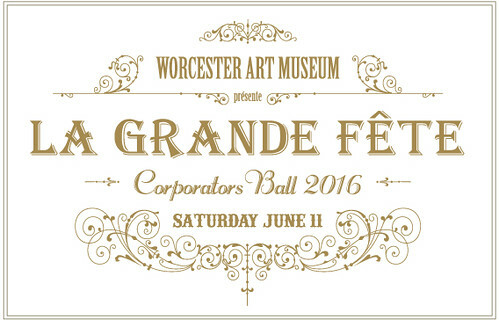 Don't forget to check out the upcoming event we're sponsoring, Copley Society of Art's Fresh Paint Gala Thursday, May 5, The Guild of Boston Artists' Handel and Haydn Society Concert Wednesday, May 18, The Actors' Shakespeare Project's Gala on Sunday, May 22 and Cambridge Arts River Festival on Saturday, June 4 and be sure to check out the Cambridge Arts Open Studios on Saturday, May 14 and Sunday, May 15 from 12 p.m. to 6 p.m. each day. Additionally, the Arlington International Film Festival is pleased to announce Tyler Wood, senior Design & Digital Media Major at Mount Ida College as the winner of the 2016 AIFF Poster Contest Competition. Quicksand. "The more you struggle, the faster you sink." 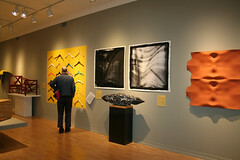 The New Art Center in Newtonville, Massachusetts holds a pop-up exhibition featuring the work of over fifteen artists. Running through May 8, there is still time to catch Quicksand. Focusing on "the unseen body within contemporary culture," the artists create works that deceive the viewers. While appearing solid and stable from a distance, the works become shifted and unsteady upon closer examination. Artists Salome Asega, Casey Ausman, Bashezo, A.K. 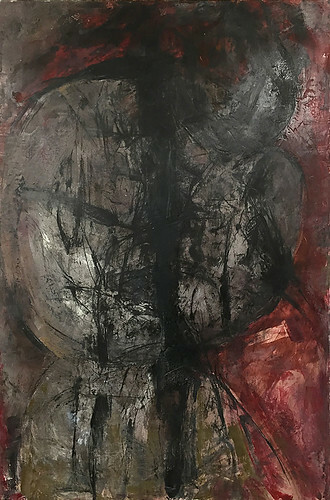 Burns, Carlos Jimenez Cahua, Caleb Cole, Furen Dai, Allison M. Disher, Janet Loren Hill, Pope L., Curtis Mann, Susan Metrican, Alyssa Minahan and Landon Newton among several others use varying mediums and techniques in order to portray their own versions of identity and physical space in their bodies. Technology also plays a role in this exhibit as technological and scientific advances have made our own bodies capable of advancements not previously attainable. Not only focusing on individual identity, the works encourage viewers to think critically about cultural visibility on a much broader scale. This group exhibit asks viewers is our body our own or the perception or impression of others? Through photography, mixed media, drawings, paintings and sculpture, the artists bring to life their own identities and encourage viewers to take a closer look at seemingly perfect images of bodies within our culture and our every day lives. Quicksand is on view now through May 8 at the Newton Art Center in Newtonville, Massachusetts in the Main Gallery. The gallery is open Tuesday through Saturday from <=""> and by appointment. 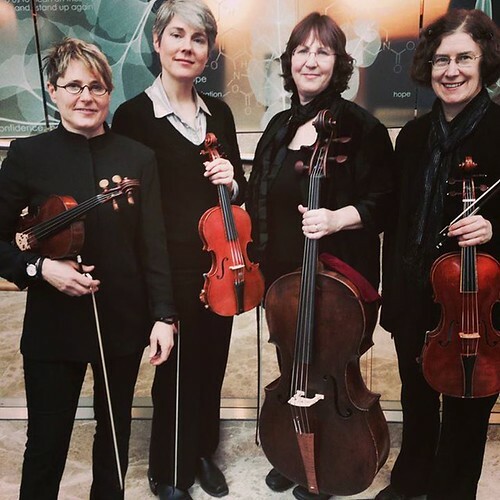 Art & Music - an evening of classical music performed by the Handel & Haydn Society and surrounded by beautiful paintings by Guild Artists. May 18, 6 - 8:30 pm with reception prior to the performance. Tickets on sale at guildofbostonartists.org. 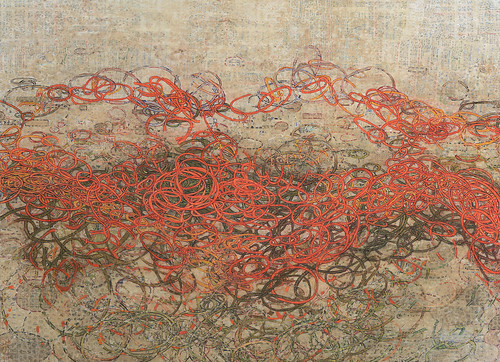 From May 4 - 29, Bromfield presents "Protecting the Wounds," organic sculptures and prints by Carlos Alvarez, and "What Lies Beneath," paintings and objects exploring detritus, by Jemison Faust. The opening reception is Friday, May 4, from 6-830 pm. Call for submission to all UNH alumni photographers working in all areas, medium and styles to submit entries for the 2016 Alumni Photography Exhibition. No fee to enter but participation is limited to graduates of the UNH. The exhibition will be on view August 31 - October 16, 2016. The Studio Concentration Seminar is a year-long course that is the capstone experience for the Studio Art major. Graduating senior participants for 2016 are: Michael Allen, Liz Baker, Rebecca Blackwell, John Gallagher, Sarah Kane, and Caroline O'Day. Learn more about the exhibition here. Each individual is on a visual and spiritual journey in which we explore, create and become who we are meant to be. 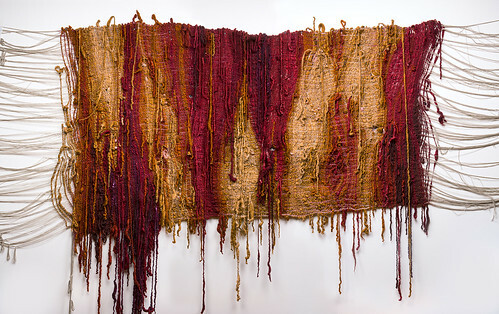 This is a journey of emotional and physical transformation and artist Lauren Pollaro uses this journey as inspiration for her current exhibition Color & Construct at Mitchell Giddings Fine Arts running now through May 29. 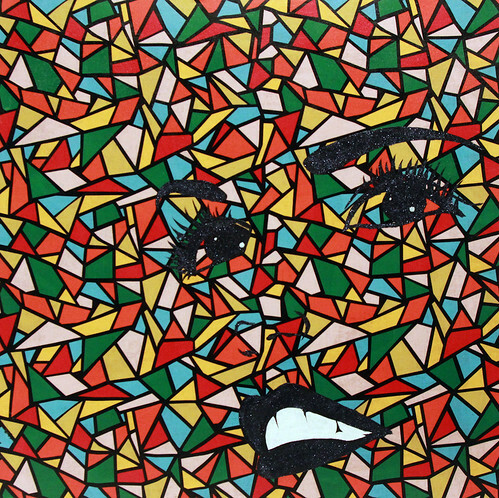 Pollaro creates works using bold colors and found materials. Through painting, scraping, layering and adding and subtracting, her work is representative of this journey and is constantly evolving and changing. Pollaro works with collage and assemblages as well as jewelry and wall sculpture in order to capture her own reality and experiences. Pollaro uses a wide variety of materials including acrylic, fabric, birch board, copper and other metals, wood, encaustic, paper, plaster, and even found objects including sea glass in order to create abstract wall sculptures. After graduating from the University of New Hampshire with a degree in Fine Art, Lauren Pollaro found a love for graphic arts and worked as an art director for several magazines. Her love for graphics and visual aesthetics is clearly portrayed throughout this exhibit. Through bright and bold colors and the use of different materials, Pollaro brings her ever changing journey to life. Color & Construct runs through May 29 at Mitchell Giddings Fine Arts and features an artist talk on Saturday, May 14 at 5 p.m. Mitchell Giddings Fine Arts is open Wednesday through Sunday from 11 a.m. to 5 p.m.
Mara Superior's Piggy Bankers/The Great Recession of 2008 porcelain, wood, white gold leaf, gold leaf, bone, brass balls, 24 x 23 x 9.5"
We are living in a highly political time on a national and global scale. With the upcoming election, political movements are at the forefront of our minds constantly. The Fuller Craft Museum features the work of Mara Superior in The Faces of Politics: In/Tolerance running now through August 21. The Faces of Politics: In/Tolerance deals with prominent issues in our society including racism, religious freedoms, women's health and reproductive rights, gender equality and L.G.B.T.Q rights. In a world where we see human rights infringed on frequently, artists and viewers are encouraged to acknowledge their own rights and discover how they, as a creative individual or otherwise, can be a positive change. 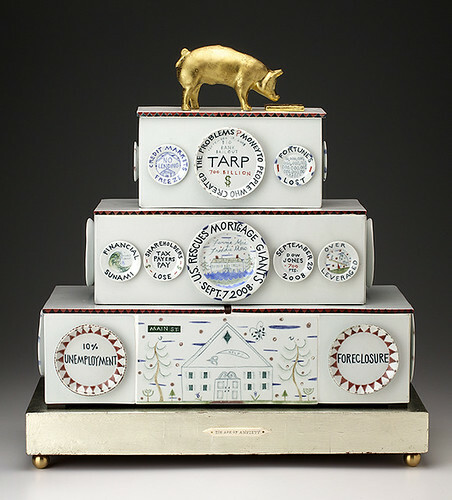 Viewers can see how these political injustices influence art in the pieces featured in this exhibition, particularly Superior's work "Piggy Bankers/The Great Recession of 2008" acting as a commentary on the high unemployment rates, foreclosures and the top percentage of wealth. 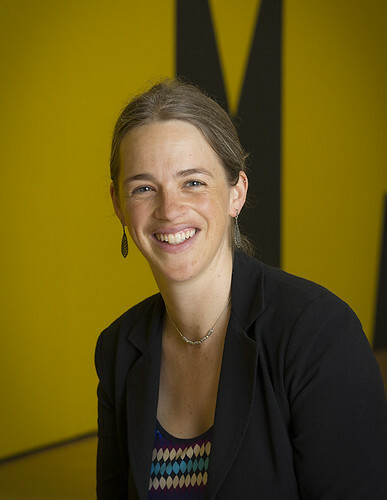 Superior also notes the importance of recognizing climate change in her piece "Small Planet: Homage to Science" that includes the terms "greenhouse gases," "smart planet" and "conservation land" all of which are extremely important topics in scientific politics. Without being forceful, The Faces of Politics: In/Tolerance features works that tackle highly significant political topics and encourage artists and viewers alike to find inspiration in our world to create positive change. The Faces of Politics: In/Tolerance is on view now through August 21 at the Fuller Craft Museum at 455 Oak Street in Brockton, Massachusetts. For more information call (508) 588-6000. 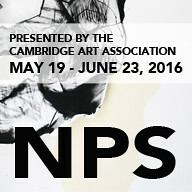 Cambridge Art Association presents their 15th National Prize Show, juried by Paul Ha (MIT List Visual Art Center) May 19-June 23, 2016. Celebrate the Opening reception Friday, May 20, 6-8pm. 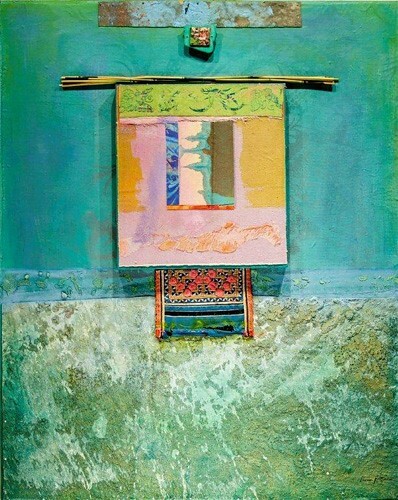 Featured artists include: Best in Show winner Kate Holcomb Hale (Arlington MA); Marjorie Forte (Cambridge MA); Christopher Owen Nelson (Santa Fe NM); Conny Goelz-Schmitt (Beverly MA); Tom Diaz (Santa Fe, NM); and Ahren Ahrenholz (East Dummerston VT). 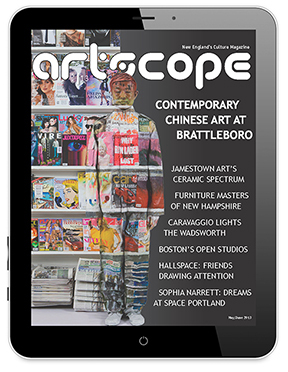 As collaborations and connections push technological and design practice to extraordinary places, see how, in the quintessential New England town of Bennington, Vermont, artists exploit the potential of these new technologies to push material practice, while commercial design and manufacturing firms apply them to make products used around the world. Stand face-to-face with 100 nearly life-size figures in this magnificent 16th-century Flemish tapestry, which hung in WAM's Renaissance Court for over 50 years and is now back on view after being restored to its full splendor! Enjoy the cuisine, sights and sounds of France while supporting the WAM's mission to connect art and community. Festivities include red-carpet arrival and champagne welcome, a French-themed menu, finely-curated silent and live auctions, and a fabulous post-dinner party, Après Fête, with dancing and entertainment. 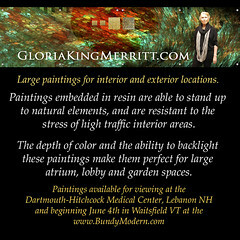 Click here to view more of Gloria's work.